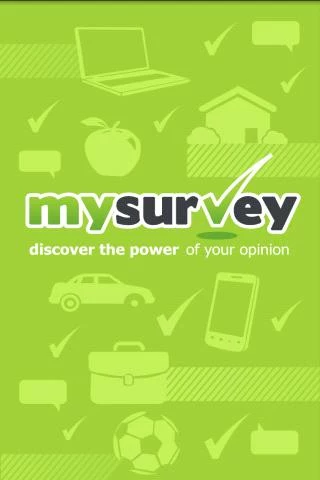 MySurvey is a survey community where your feedback directly shapes the development of new technologies, services and products from top companies. We make it easy…with our MySurvey mobile app you’ll receive notifications to participate in surveys whether you’re on the go or have time to spare. Not only is it free to join, it pays to join! Earn rewards for sharing your opinion. – Earn rewards for surveys PLUS mini-polls! – Experience truly interactive surveys taking advantage of touch technology including sliding scale and simple multi-select features! – Be ahead of the curve and influence the design of the next big product or service!